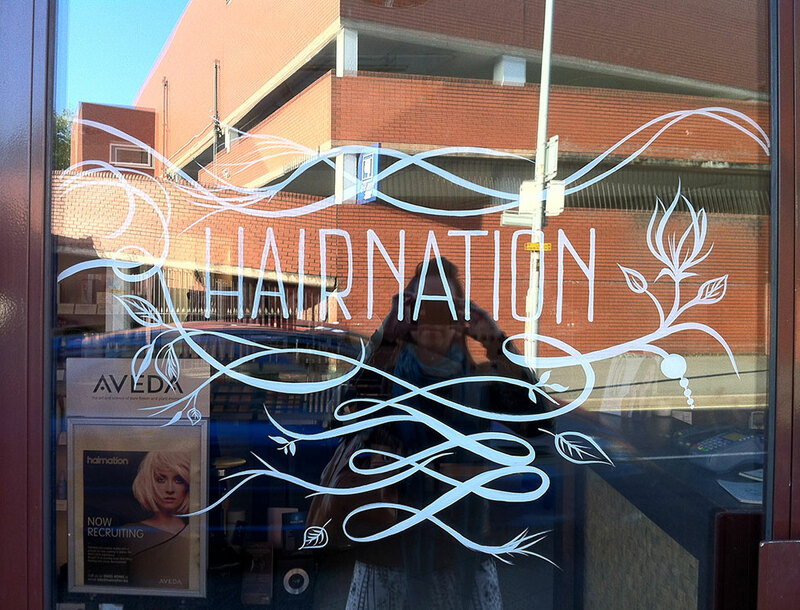 Inkymole: It Takes A Nation Of Hairdressers. 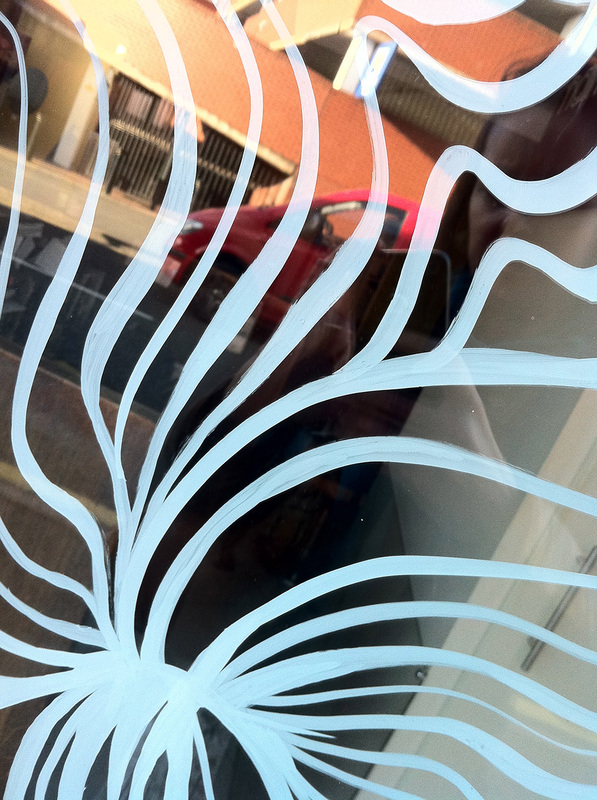 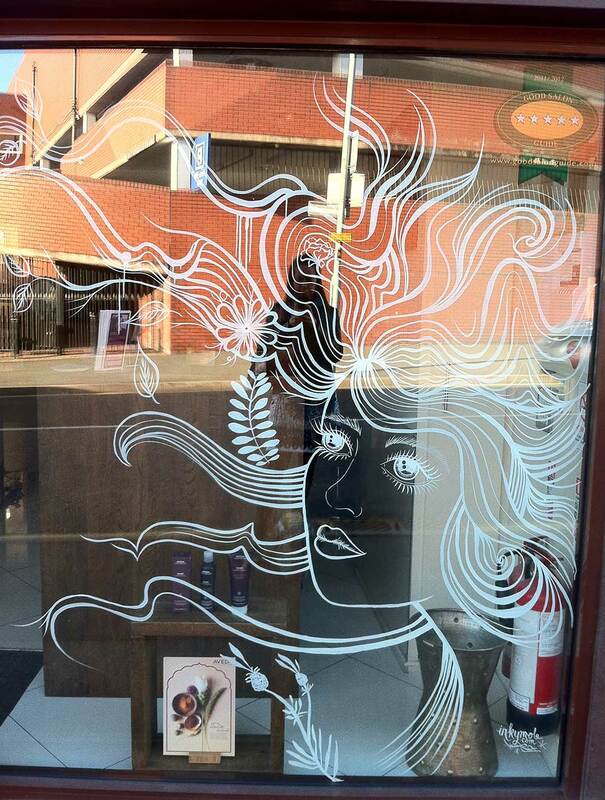 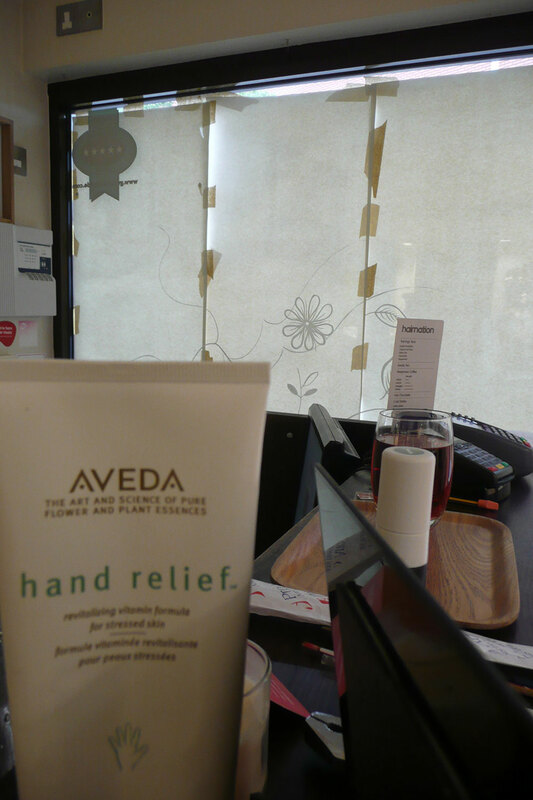 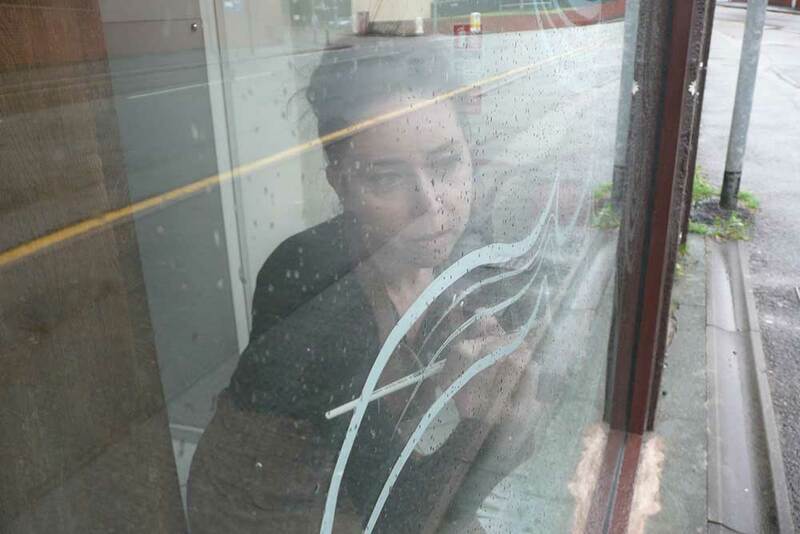 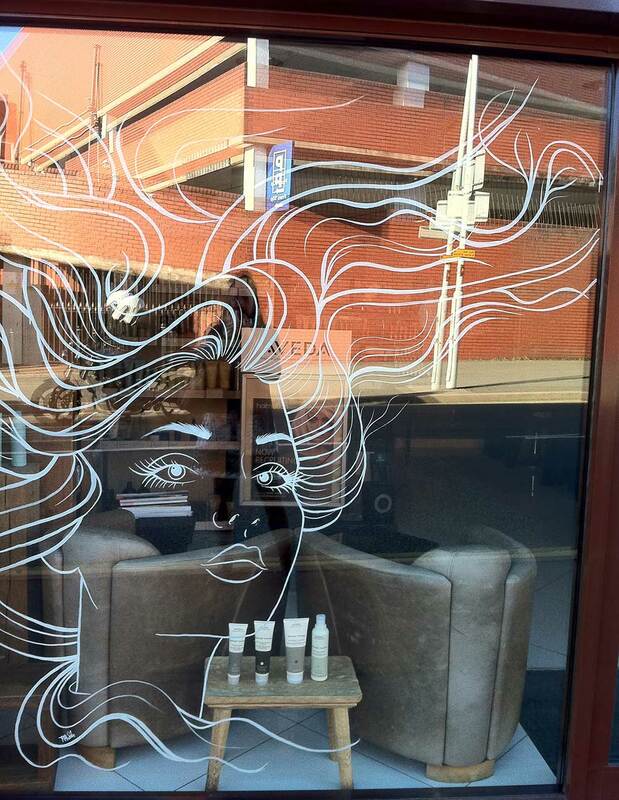 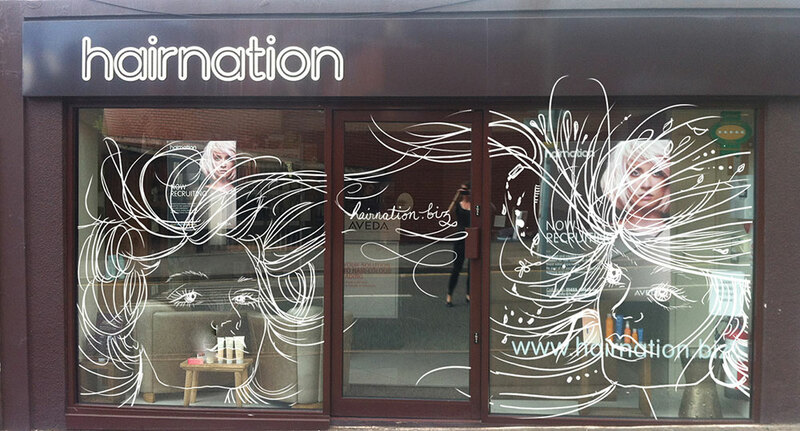 In Sunday we painted the windows of our friends' Katie and Tom's Aveda salon. 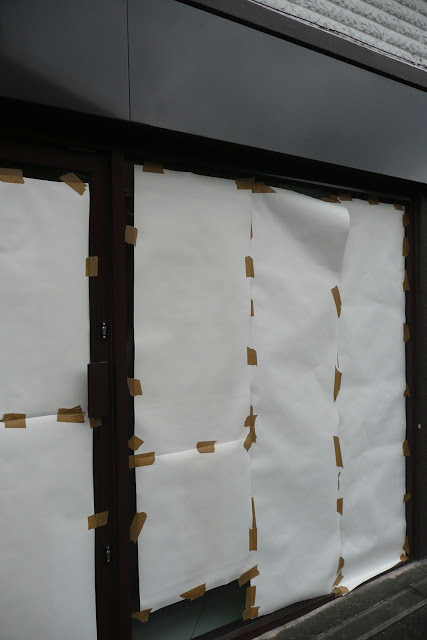 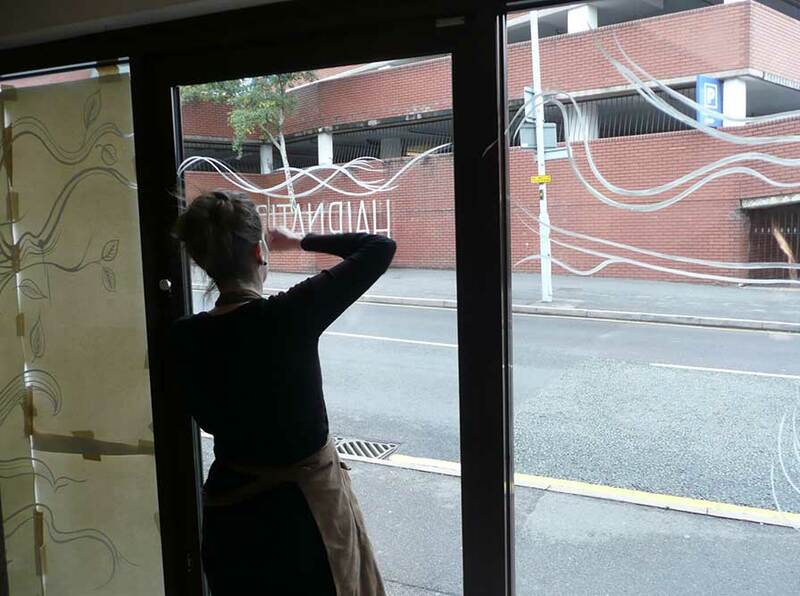 It was partly because they have big empty windows, because it's ages since I did anything large-scale, and because they said we could! 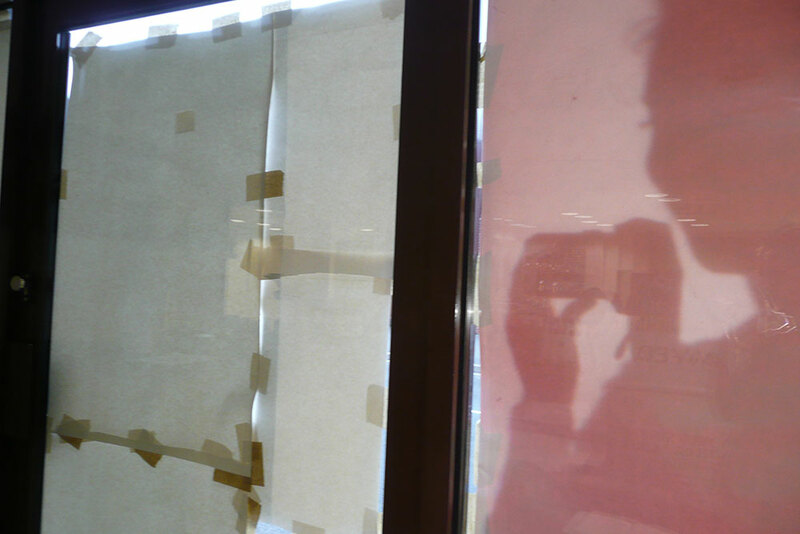 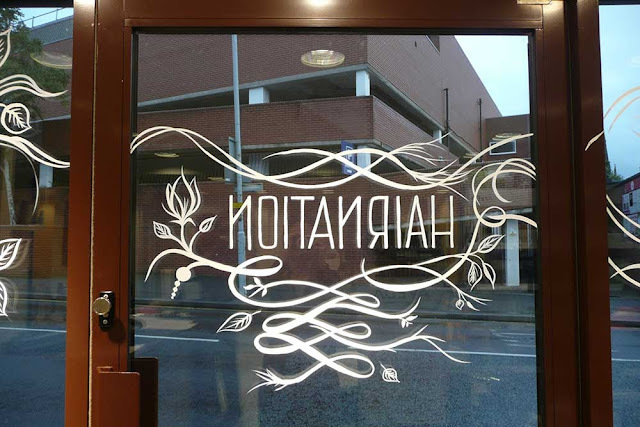 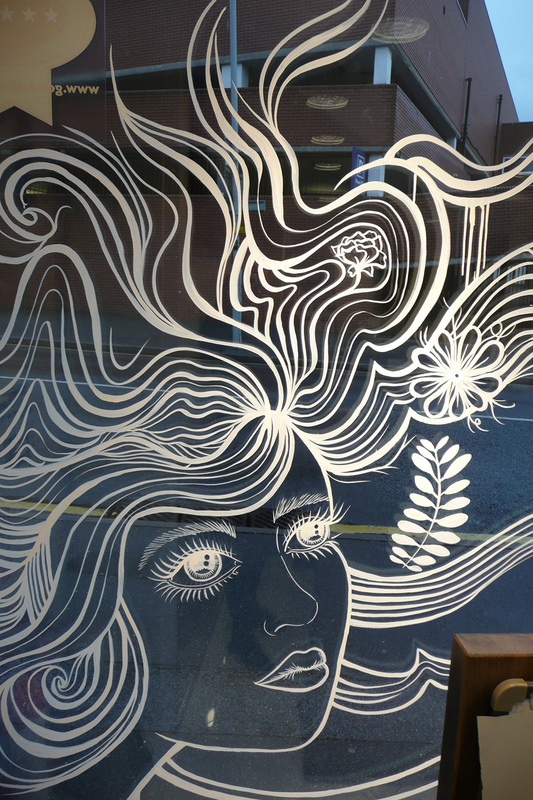 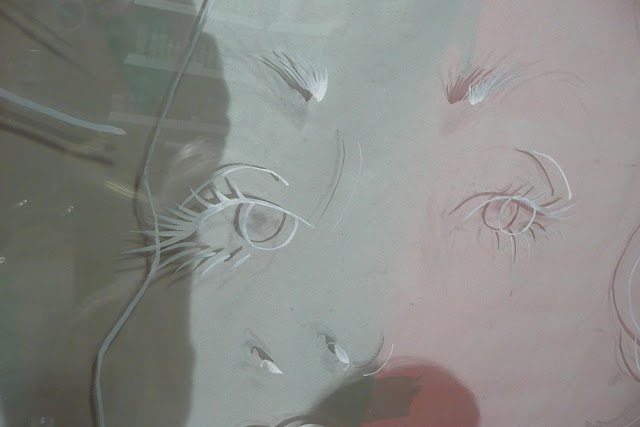 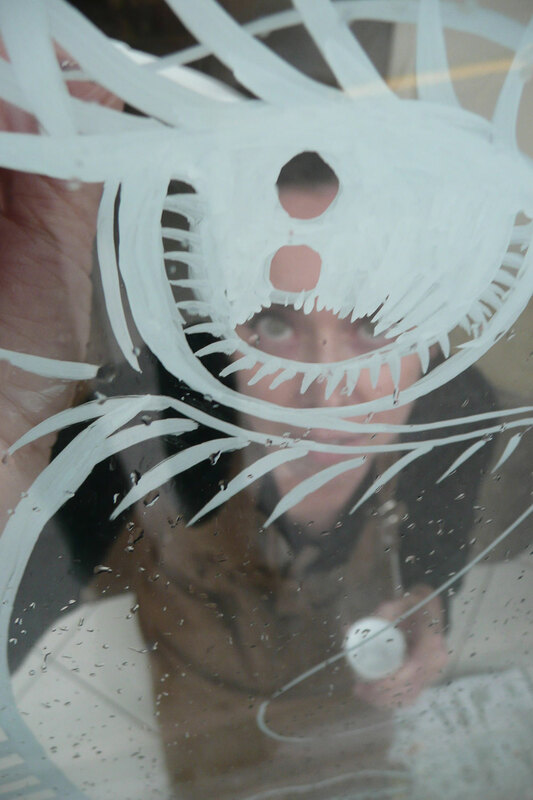 'We' was Me and Tiffany Hurlston, who I invited to draw on one of the windows while I did the other. 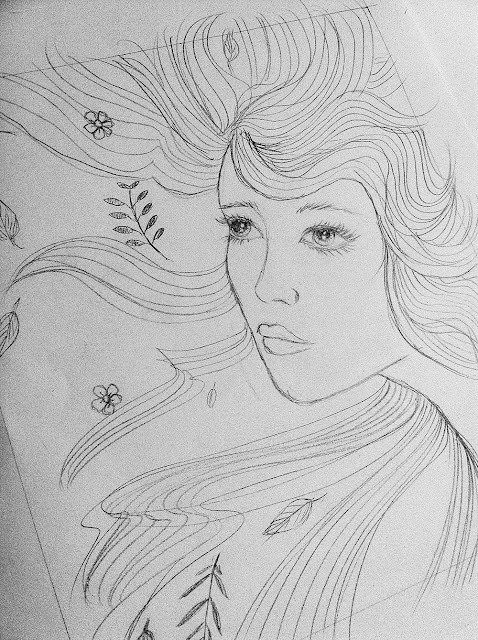 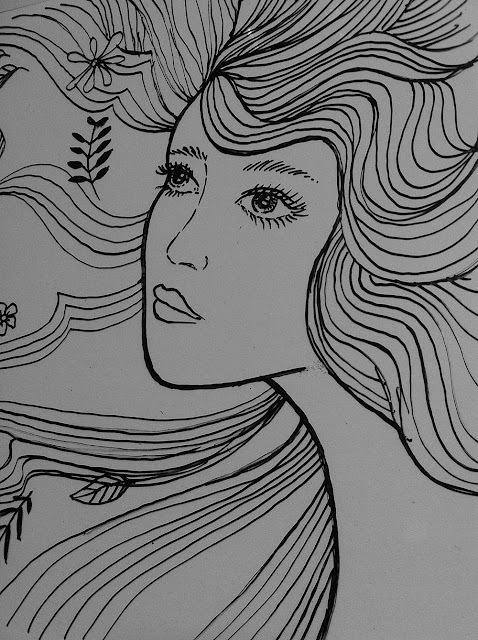 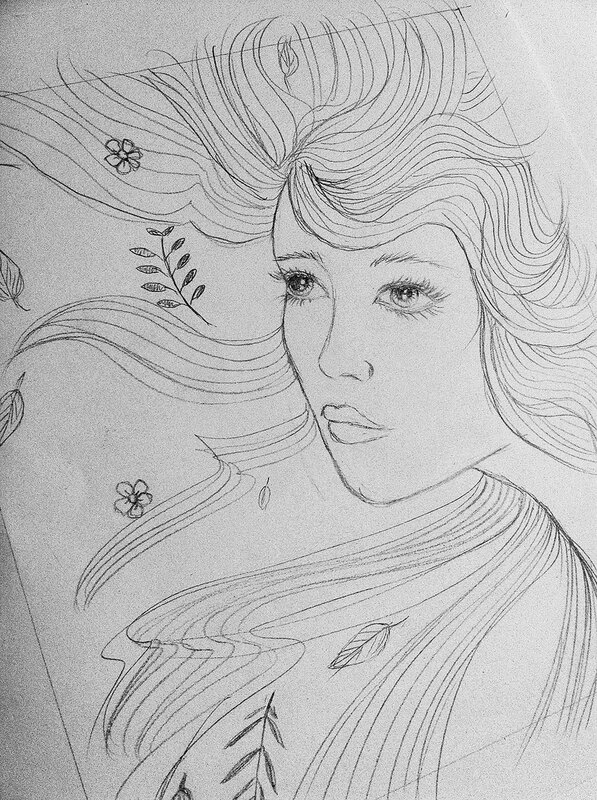 Having to create a pair of illustrations which complemented each other without compromising our respective styles was easier than first thought, because even though I work in ink lines and she likes to draw in pencil, the common denominator was a life-long love of drawing 'pretty ladies' and flowing healthy hair. 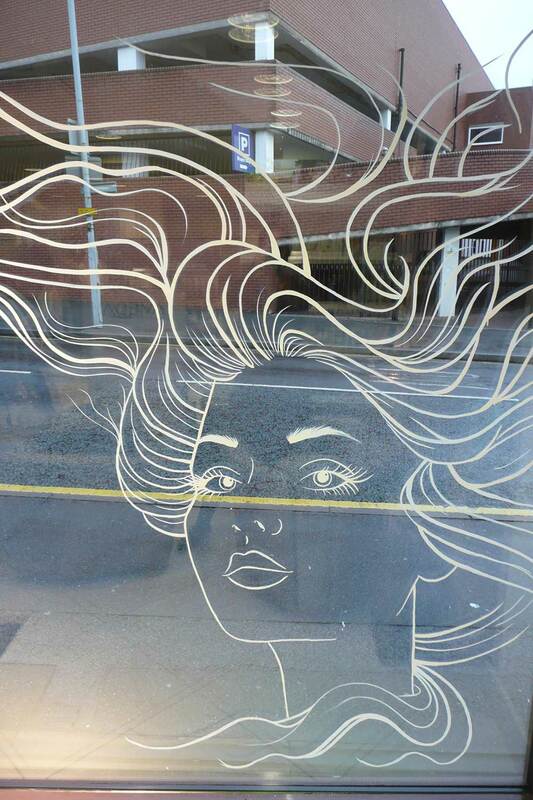 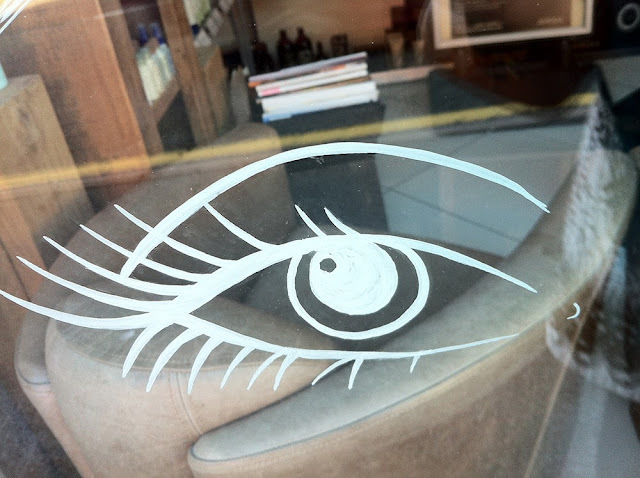 And what else could a salon wish for on their windows? 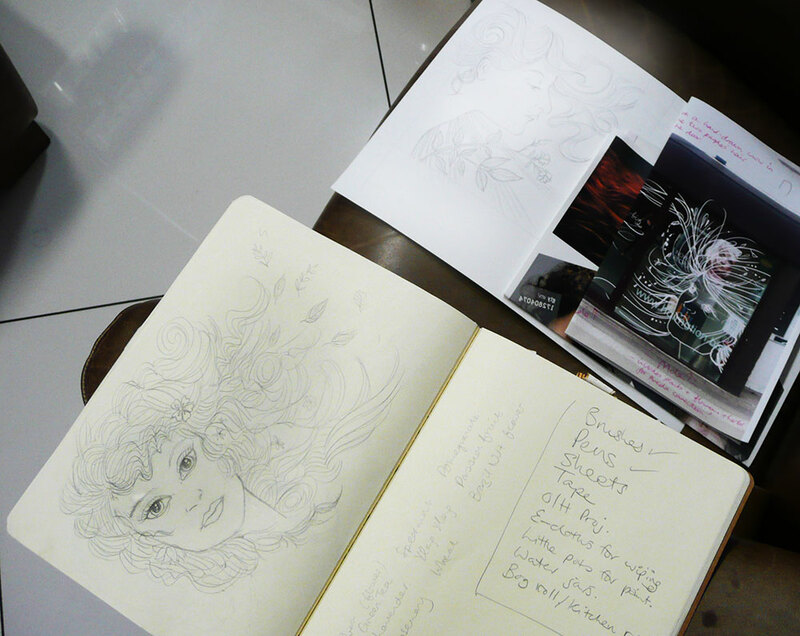 First came the rough - here's my Photoshop sketch where I've traced Tiffany's drawing (left as you look at it) and my spontaneous sketch on the right. 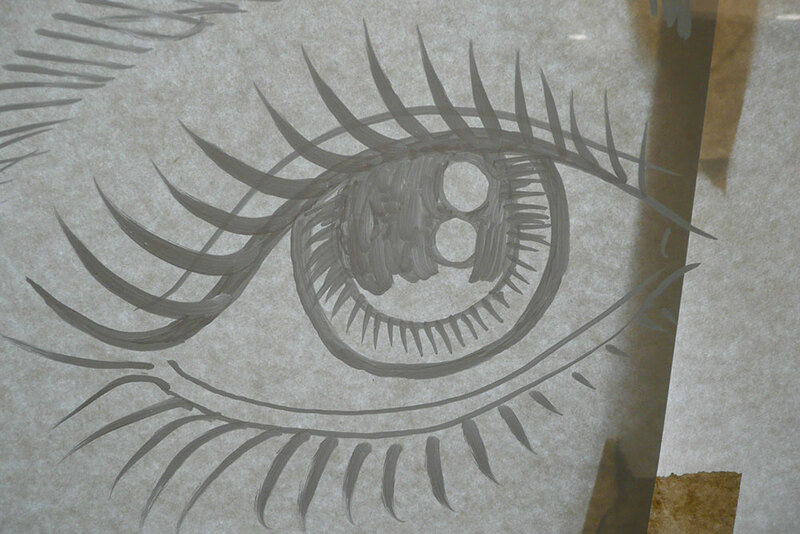 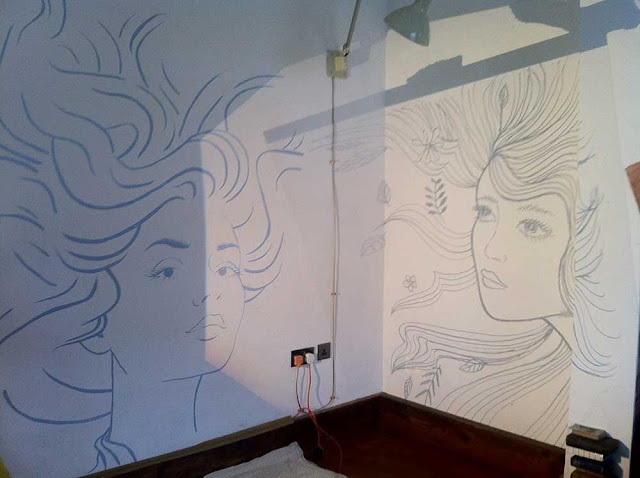 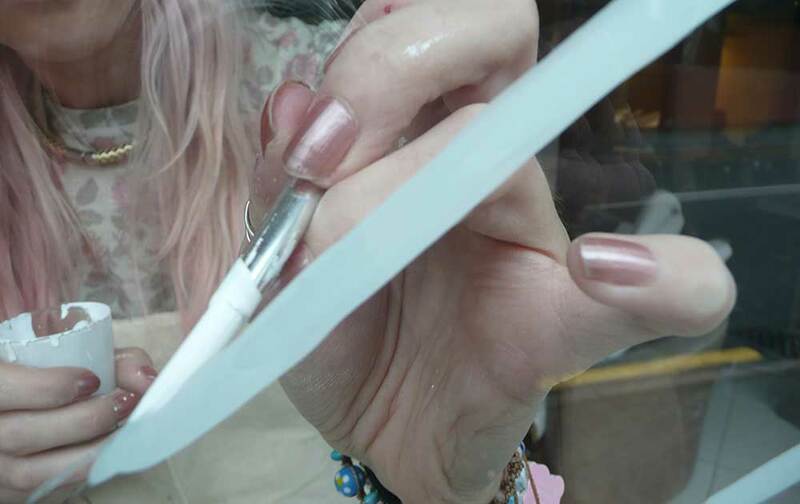 We put our drawings onto acetates so that they could be projected from inside and the guidelines followed (less used to freestyling, Tiffany was more comfortable using a guide for her first large-scale piece - I followed suit to get eyes, nose and chin in the right spot). 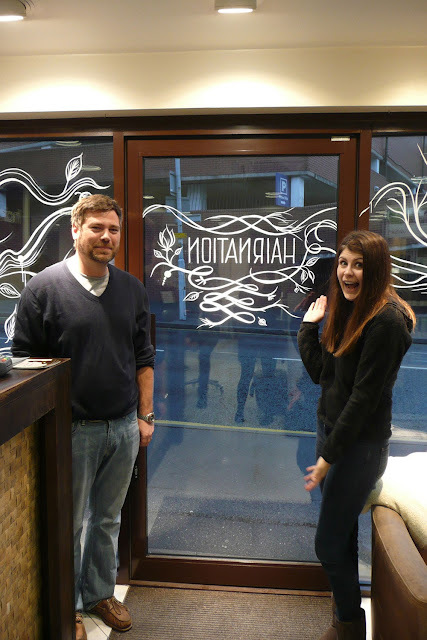 Tom and Katie with their faces of approval!